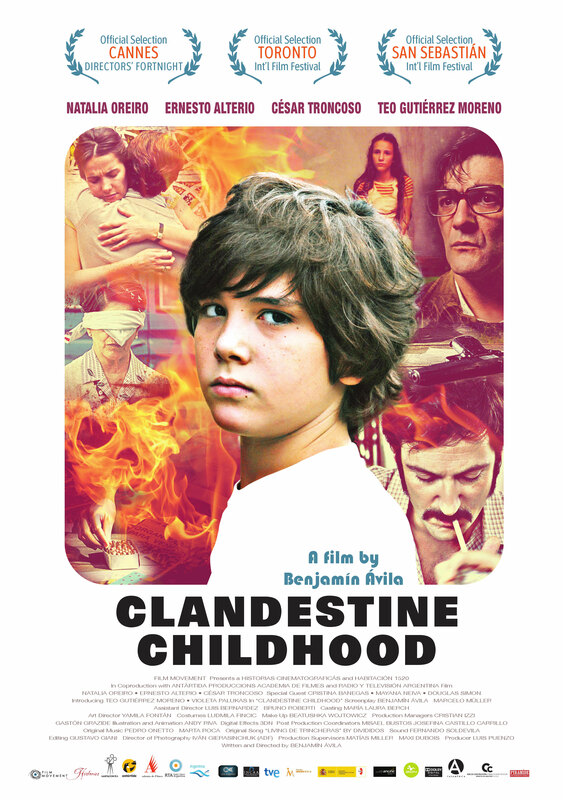 Benjamín Ávila’s Clandestine Childhood (Infancia Clandestina) is an earnestly heartfelt cine-memoir based on the director/co-writer’s own tragic early life. Argentina, 1979. 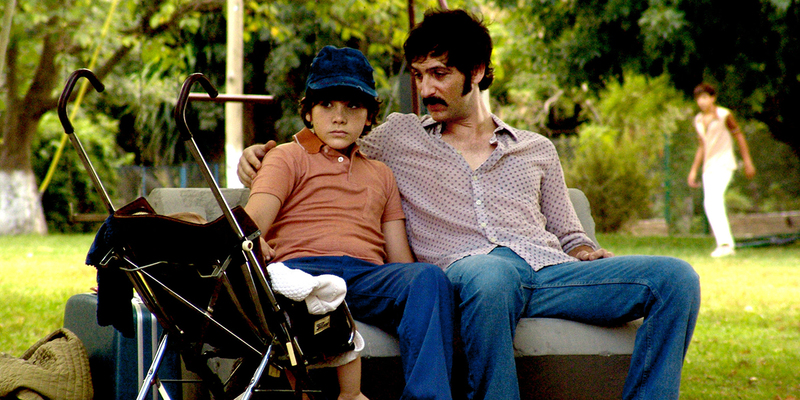 After years of exile, twelve-year-old Juan and his family come back to Argentina under fake identities. Juan’s parents and his uncle Beto are members of the Montoneros Organization, which is fighting against the Military Junta that rules the country. Because of their political activities they are tracked down relentlessly, and the threat of capture, and even death, is constant. However, Juan’s daily life is also full of warmth and humor, and he quickly integrates into his new environment. His friends at school and the girl he has a gigantic crush on, Maria, know him as Ernesto-a name he must not forget, since his family’s survival is at stake. Juan accepts this and follows all of his parents’ rules until one day he is told that they need to move again immediately, and leave his friends and Maria behind without an explanation. This exceptional first feature not only captures the spirit and passion of the freedom fighters who gave their lives for a cause, but also gives voice to their children, caught in a battle that was not their own yet rising heroically to the challenge. This story about militancy, undercover life, and love is the Argentine submission for the 2013 Best Foreign-Language Academy Award. A screenwriter and director of short films that has won numerous international prizes, Benjamin Ávila also directed the documentary Grandchildren (Nietos), about the children of “the disappeared” whose identities were re-established thanks to the “Grandmothers of the Plaza de Mayo.” The film had a special Zabaltegi screening at the San Sebastian Film Festival in 2004. Benjamin Ávila is also a producer of educational television programs. Clandestine Childhood, his first feature film, is based on true events in his life. Since the day I decided to become a director, I wanted to tell this story. My story. 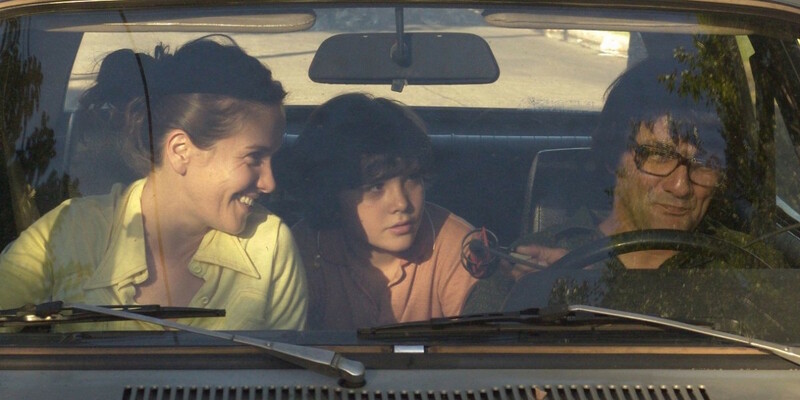 I did not plan to make a biopic, but I wanted to draw upon my childhood memories to make a film about first love taking place during the last military dictatorship of Argentina, between 1976 and 1983. I also wanted to talk about militancy at that time, an unknown universe for many, where fear ran alongside joy, love and passion. Revisiting history from the point of view of my younger self and the other characters of the film, allowed me to shed a new light on this period. My main references on this project have been films like When My Father Was Away in Business by Emir Kusturica and My Life as a Dog by Lasse Hallström, because of their depiction of childhood. Ken Loach for his political use of the cinema, and Krzysztof Kieslowski for his narrative sensitivity also inspired me. Clandestine Childhood is my story, which I share with many other children who loved their youth at the same historical moment.